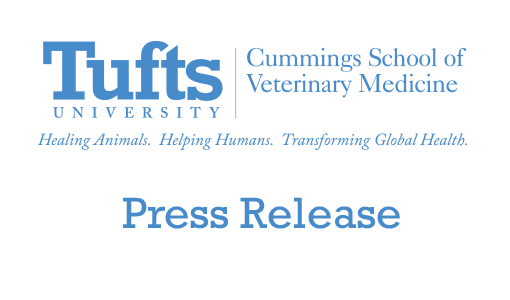 The Cummings School of Veterinary Medicine at Tufts University will host a discussion of the global impact of rabies, Monday, September 28, 2009 from 7 to 9pm. 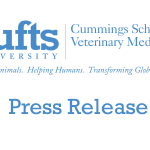 The discussion will center around the school’s ongoing international projects to fight rabies, in addition to clarifying the status of rabies here in Massachusetts and what the lay public can do to prevent the spread of this deadly disease. Light refreshments will be served. The community event is part of the Cummings School’s celebration of the third-annual Worldwide Rabies Day and organized by Assistant Professor Gretchen E. Kaufman, DVM, and Associate Professor Joann M. Lindenmayer, DVM, MPH, from the school’s Department of Environmental and Public Health, Karen Ann Alroy and Amy C. Vlazny, V11, and second-year students Colin A. Basler, Mehnaz C. Aziz, Matthew J. Gordon, Shannon G. McCook, and Jessica A. Martinez. The discussion will be lead by Assistant Professor Gretchen E. Kaufman, DVM, and Associate Professor Joann M. Lindenmayer, DVM, MPH, from the school’s Department of Environmental and Public Health. Rabies remains a threat worldwide, killing more than 55,000 people every year, according to the World Health Organization. World Rabies Day, now in its third year, aims to raise awareness about the public health impact of human and animal rabies. Led by the Alliance for Rabies Control and supported by numerous human and animal health organizations worldwide, World Rabies Day is a unique campaign that brings together hundreds of thousands of people across the world to reinforce the message that rabies is a preventable disease, even though it kills 55,000 people needlessly each year, half of whom are children under the age of 15.